Super easy homemade granola, you really can't mess this up. 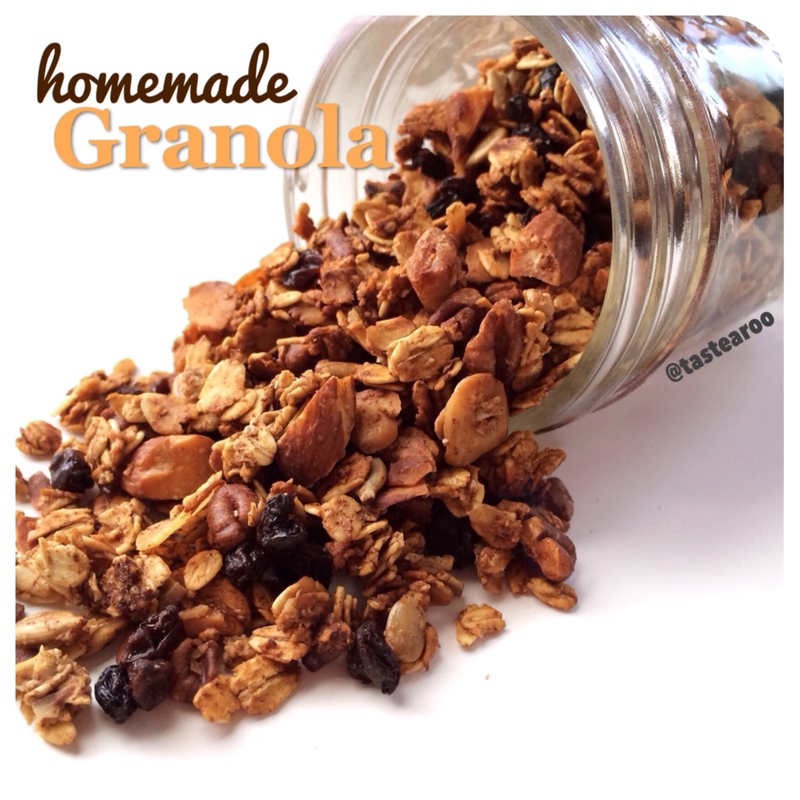 Give this a try... you'll never buy store bought granola again! 1. Mix all ingredients and fixings (minus currants or any other dried fruit of choice) in a bowl until all ingredients are well incorporated. They should be moist and sticky. 2. in a baking pan spread it out evenly and place in the oven at 300. Set a timer for 10 minutes and stir the granola, set timer again for another 10 minutes to then stir it again. Youâ€™ll do this for about 40-50 minutes. Keep an eye on it so that it doesnâ€™t burn. Leave it in for longer if you think it needs more time. The granola and nuts should be nice and toasted. Once done, remove from baking pan and allow it to cool completely. Add currants and eat it by itself, with milk, or add it to your yogurt.